We celebrated Saint Patrick's Day a day early at Century 21 Action, Inc. with a special luncheon for our Sales Department, hosted by our Rental Department at our Surf City location. 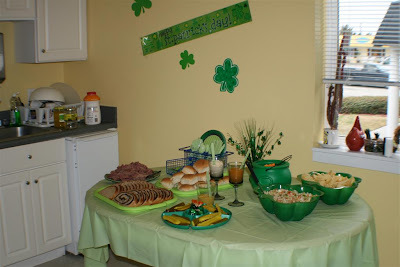 Corned Beef and Cabbage were served of course for us leprechauns. 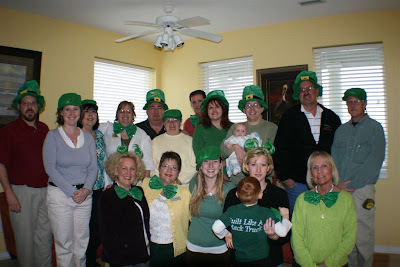 As you can see from the pictures, we were all wearing green! The Luck of Irish is with Us! Irish Blessing: "May the Good Lord take a liking to you... but not too soon!" 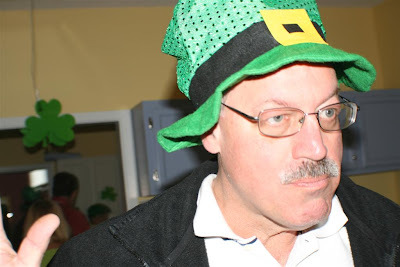 Irish Joke: "Why should you never iron a 4-leaf clover? You don't want to press your luck." A Great Meal of Corned Beef and Cabbage! 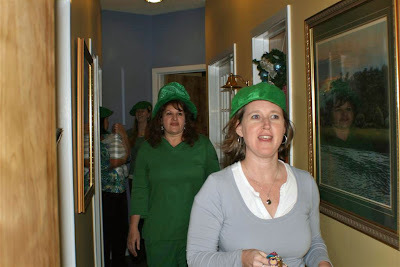 Saint Patty Parade or Procession to the Lunch Room? Kim Sanders, Office Manager, with the newest member of the Action Team; Tanner Gray's son.